Mike Smith is Professor in European Politics in PAIS. He was previously Professor of European Politics at Loughborough 1994-2015, and was Head of Department from 1999-2002; previously he was a Professor and Dean at Coventry University. 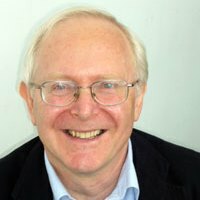 From 2005-2013 he was co-director of the Centre for the Study of International Governance at Loughborough, and a member of the University Research Performance Monitoring Committee; he was also the coordinator of the Department of Politics, History and International Relations submission to the 2014 Research Excellence Framework. He has been the Chair of the University Association for Contemporary European Studies (UACES) and the Standing Committee of Heads of European Studies, and in 2010 was honoured by UACES with their award for Lifetime Achievement in Contemporary European Studies. He was also Chair of the European Studies sub-panel in the UK national Research Assessment Exercise for 2008, and is involved widely in research assessment and research networks in Europe and beyond. He is or has been a member of the editorial boards of a number of leading international journals, including the Journal of Common Market Studies, the Journal of European Public Policy, Perspectives on European Politics and Society and the British Journal of Politics and International Relations; he is also on the advisory boards of two book series dealing with the European Union and its external action, published by Routledge and Palgrave Macmillan. He holds visiting Professorships at Chulalongkorn University (Bangkok) and the University of Canterbury (New Zealand), and has been a Visiting Scholar at the Brookings Institution in Washington DC. He has recently been director of a major multi-national research network dealing with the diplomatic system of the EU, funded by the Jean Monnet programme, and director of a major work package centring on EU diplomacy as part of a European Commission-funded Marie Curie Initial Training Network focused on inter-institutional cooperation in the EU. He currently supervises a group of research students dealing with inter-institutional cooperation in EU diplomacy, and has previously supervised research students studying EU relations with Asia, with the World Trade Organisation, and with Turkey, as well as a broader range of topics in EU governance. Elgström, O. and Smith, M. (eds) (2006) The European Union’s Roles in International Politics: Concepts and Analysis. London: Routledge. McGuire, S. and Smith, M. (2008) The European Union and the United States. Basingstoke: Palgrave-Macmillan. Fernandez Sola, N. and Smith, M. (eds) (2009) Perceptions and Policy in Transatlantic Relations: Prospective Views from Europe and the United States. London: Routledge. Hill, C. and Smith, M. (eds) (2011) International Relations and the European Union. Second edition, Oxford: Oxford University Press. With two colleagues from other universities, he is in the final stages of editing a book based on the Jean Monnet project dealing with EU diplomacy (see above); this will be published in 2015. He has published articles in a number of leading international journals, including the Journal of Common Market Studies, the Journal of European Public Policy, Perspectives on European Politics and Society, European Political Science, the Cambridge Review of International Affairs, the Journal of European Integration, the British Journal of Politics and International Relations, International Politics, International Affairs, The World Today and Internationale Spectator. He was also a regular contributor to the JCMS Annual Review of the European Union between 1993 and 2012 and has contributed more than a hundred chapters to edited books.